Kelsey Wright is following her dreams and that route has taken her to Orlando, Florida, where she is participating in the Disney College Program. 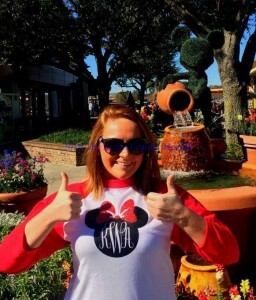 Kelsey Wright, a graduate of Lewis County High School, traveled to the land of Disney on the eve of a winter storm that was bearing down on Kentucky. She and her parents, Amy and Bryan Wright, hopped in a car Thursday evening, January 21, and headed south.